This valved respirator provides comfortable, effective respiratory protection against fine dusts, oil and water-based mists and metal fume. 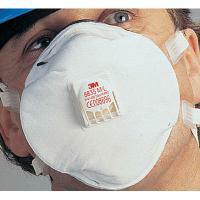 The 3M Cool Flow Valve, soft sealing ring and adjustable straps ensure a comfortable, confident fit. Cleanable sealing ring and additional "D" Dolomite anti-clogging test allows use for more than one shift.